MTA001 - One of the most beautiful boutique guest-houses in Morocco and perfectly positioned halfway between Marrakech and the dunes of Erg Chaggaga or Erg Chebbi. MTC001 - The desert is a magical place. 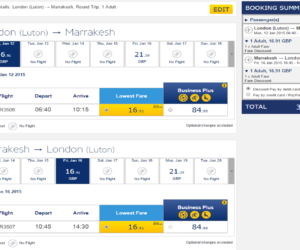 Tranquillity, clear skies, bright stars, simmering vistas, intense colours, big dunes and magical experiences. MTO004 - Set on a hilltop overlooking Skoura palm grove, this guest house features an outdoor swimming pool and a shaded terrace. 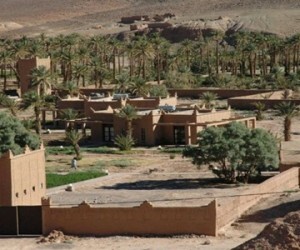 The Amerhidil Kasbah is located 2 km away. 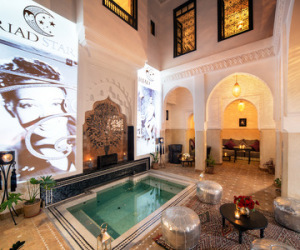 MTO005 - This Eco-friendly riad is located in the oasis of Skoura, on a 4-hectare farm. 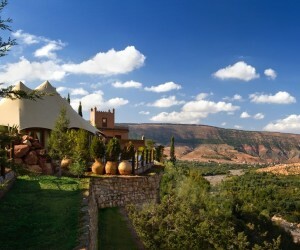 Set between the desert and the Atlas Mountains, it offers air-conditioned rooms, a sea water outdoor pool and a hammam. 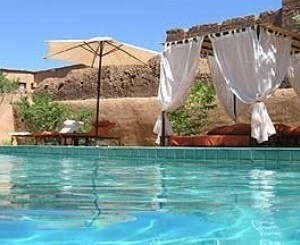 MTO003 - Jardins de Skoura is an 8 bedroom boutique guesthouse situated 45 minutes from Ouarzazate. 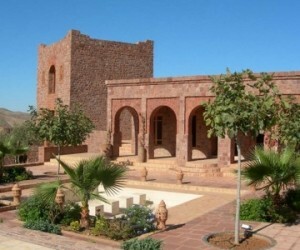 MTO001 - The Kasbah Ellouze is a superb place with a panoramic view from the terrace overlooking gardens planted with almond and olive trees located in Tamdaght 5km from Ait Ben Haddou. MTQ001 - Dar Qamar is a guest house located 2 km from the centre of Agdz. It offers air-conditioned accommodation with free Wi-Fi and a heated pool and spa with a garden. MTP001- Surrounded by gardens, La Perle is situated in the Vallée du Dadès, between La Vallée des Roses and the Todra gorges. It features an outdoor pool and a panoramic rooftop terrace. MTC002 - M’hamid is where the paved road ends and the charm of the Erg Chigaga begins. 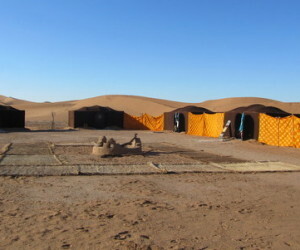 The tall dunes lie within a wilderness where the only accommodation is in desert camps. 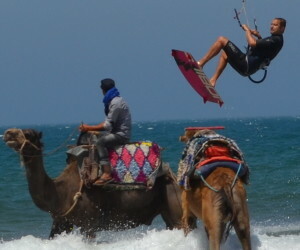 MZY001 - Yasmina is an "auberge" or small hotel on the edge of the most spectacular dunes in Morocco. MTR001 - Bab Rimal is a desert retreat with a dozen or so rooms and suites, pool and spa. 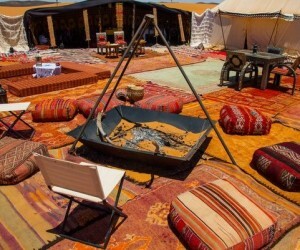 It is the perfect place to chill out after a desert crossing. 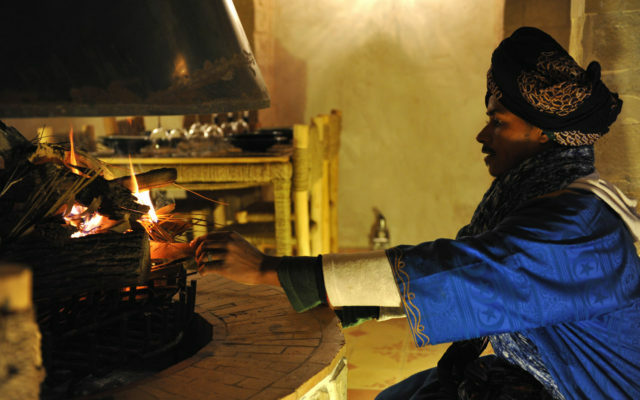 MTM001 - Chez le Pacha offers wonderful accommodation with "tent rooms" and suites located in M’hamid - right on the edge of the Sahara. Luxury Camp offers the visitor a total escape from the crowds of the cities. 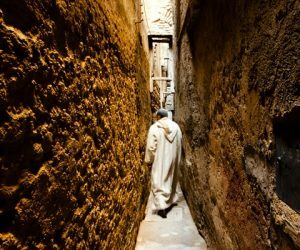 Aside from your guide and your companions, the only other people you may encounter during your stay are the native Berber Nomads that call this harsh yet beautiful environment home. 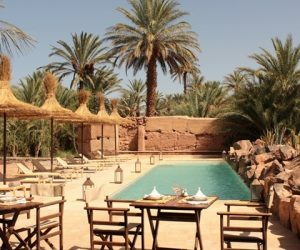 A handsome eight-room bolt hole inside Zagora’s date-palm oasis, Azalai is an ideal base for seeing the desert and the Draa Valley.